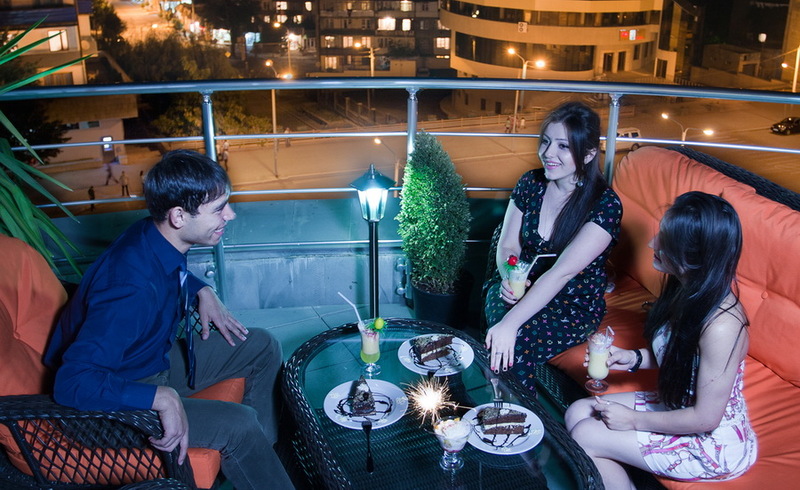 Panoramic Sky Lounge Bar located on the roof of the complex “Europe” invites you to contemplate the marvelous mountainous landscape of the capital in the middle of the lively Azatamartikneri Avenue. The menu from chef includes European dishes and inevitable hit of the bar menu, ice lemonades and a variety of freshly squeezed juice. Sky Lounge Bar is a magnificent place for meetings, solemn events, and solar open-air parties and youth parties.